Local authorities’ reluctance to place children in homes with an ‘adequate’ Ofsted rating risks making up to 2,000 placements unavailable, a new report has warned. 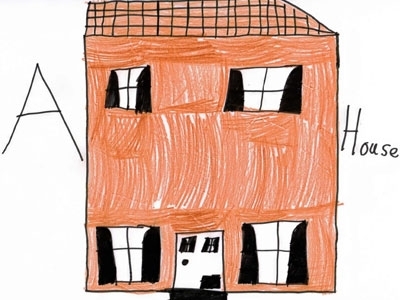 The report was published by the Independent Children’s Homes Association (ICHA) after it submitted a freedom of information request to councils, which found 68 of 113 (60%) responding local authorities would not place children in homes rated ‘adequate’. The remaining 45 local authorities said they may, but this was not usually considered ideal. The report also identified a 31% increase in the number of homes that had dropped from a ‘good’ or ‘outstanding’ grade in 2013, to ‘adequate’ or lower in 2014. If the average number of placements per home is four, this could equate to up to 2,000 places being seen as undesirable, the ICHA warned. The association also expressed concern that providers are taking action to protect a ‘good’ rating by not offering placements to children with complex needs. Its report states that all providers now scrutinise referrals and, if there are concerns that the individual’s needs may have an effect on an Ofsted outcome, they may not be taken forward. This could further reduce the number of placements available, and it is already common for commissioners to struggle to find a home to accept a child with higher-level needs, it states. The association is now calling for more focus on supporting providers to maintain a ‘good’ rating and where this does not happen, inspectors and providers should work together to agree and implement an improvement plan. Jonathan Stanley, chief executive of the ICHA, said: “There are many factors in why a home can be seen as adequate that can be swiftly and easily rectified and Ofsted statistics show homes have the capacity to recover quickly given sufficient, timely support. If services are rated ‘adequate’ (or ‘requiring improvement’ under the new system), they should be supported to produce and complete a ‘getting good’ plan. On completion, they should then receive a second key inspection to allow them to return to a ‘good’ outcome. same goal – to create excellent provision across the sector? Is the new standard perfection rather than outstanding? Is there a quota for outstanding that leads inspectors to look for every little blemish that can be regarded as justifiable reasning to downgrade homes? Think about it……….what do we do in organisations that are quality organisations……..we support, encourage, engage and develop our people. We undersatand that to grow people you don’t beat them with a big stick……you explain, train, support, nurture, enable, reinforce positive effort, work with not against…..
And my organisation has the Investors in People Gold Award. Pity Ofsted doesn’t! I fully agree with the comments from Steve Lord and fail to understand how a regulator could be so out of touch with the sector it is seeking to influence. They appear to have no appreciation of the impact their policies are having on the residential sector and far from safeguarding vulnerable children, Ofsted are creating an underclass of looked after children who are being rejected by many “quality” organisations who’s priority is now to safeguard their business. There is a common belief that Ofsted’s have a policy that only 14% of homes can be rated “outstanding” and we are reliably advised that inspectors do not want to give an “outstanding” because of the process they have to go through to justify it. Clearly this is not something that is provable but the fact that it is being discussed, evidences the mistrust held for Ofsted and as a result, providers are being forced to put their own welfare first by denying a place to the most vulnerable. It is much easier to critiise than advise, guide and support. Ofsted’s role is to find fault and condem? They do it very well. How this helps achieve a quality residential provision is debatable. But then again is there anyone out there that truly believes Ofsted are trying to improve standards?